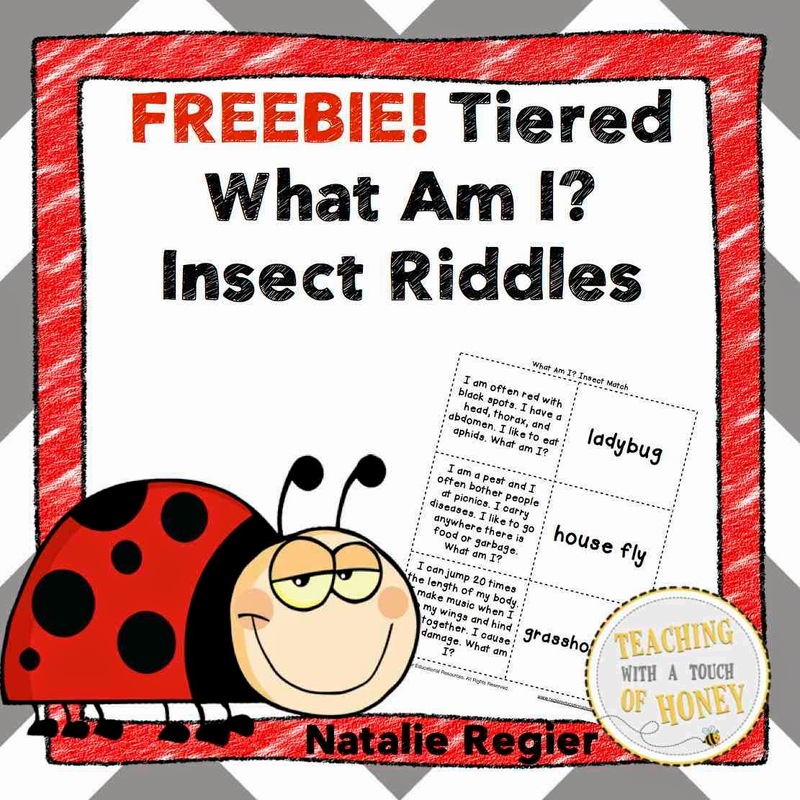 Classroom Freebies Too: Tiered What Am I? 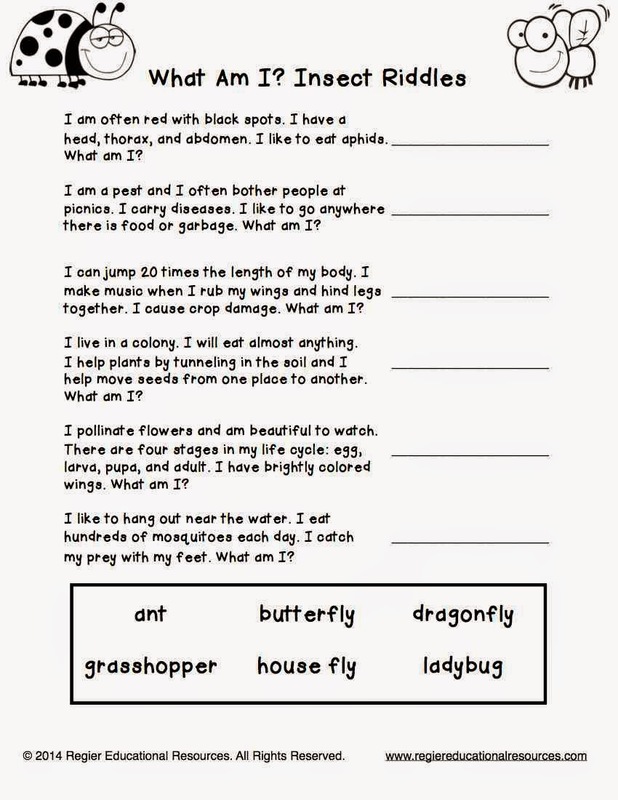 Insect Riddles FREEBIE! Tiered What Am I? 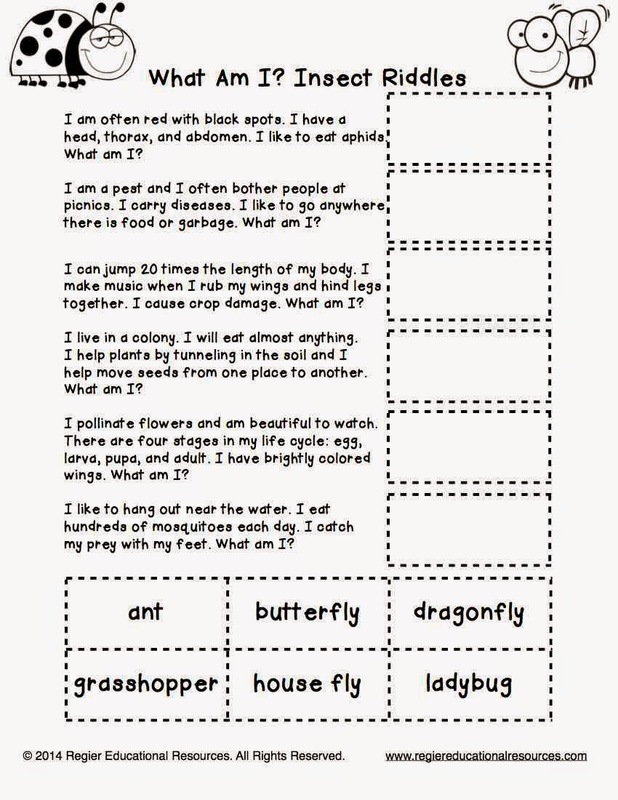 Insect Riddles FREEBIE! 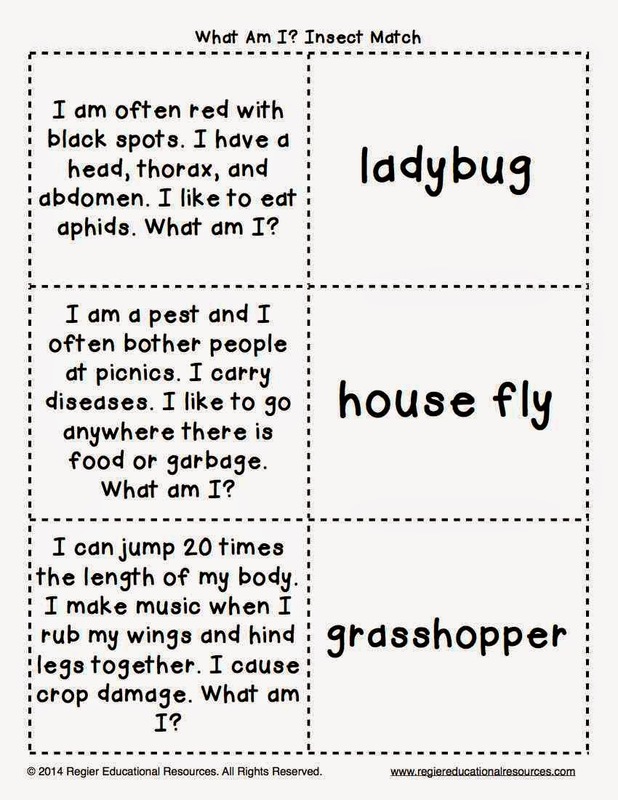 Introduce students to a unit on insects using this set of What Am I? riddles. The activities are tiered so choose the activity or activities that will meet the learning needs of your students. I hope your students have fun with the What Am I? riddles!